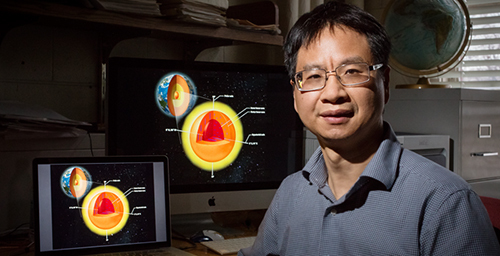 Illinois geology professor Xiaodong Song led a research team that used seismic waves to look at the Earth's inner core. They found that the inner core has surprisingly complex structure and behaviors. 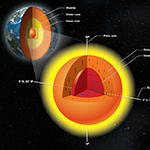 CHAMPAIGN, Ill. - Seismic waves are helping scientists to plumb the world's deepest mystery: the planet's inner core. The Earth's inner core has an inner core of its own, with crystals aligned in a different direction. The U.S. National Science Foundation and the National Science Foundation of China supported this work. To reach Xiaodong Song, call 217-333-1841; email: xsong@illinois.edu. The paper, “Equatorial anisotropy in the inner part of Earth’s inner core from autocorrelation of earthquake coda,” is available online.